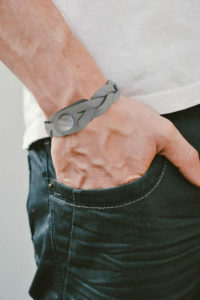 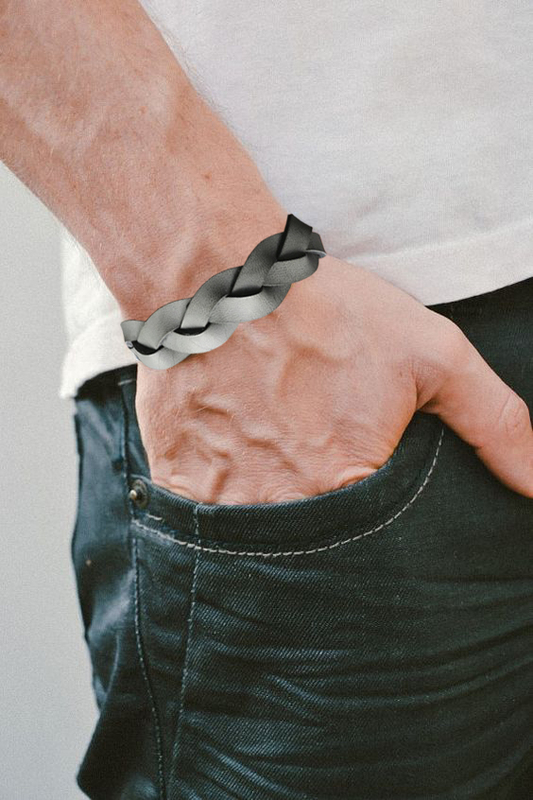 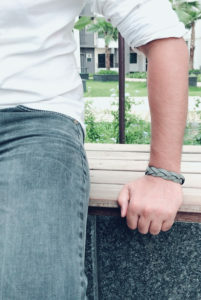 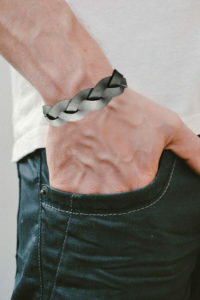 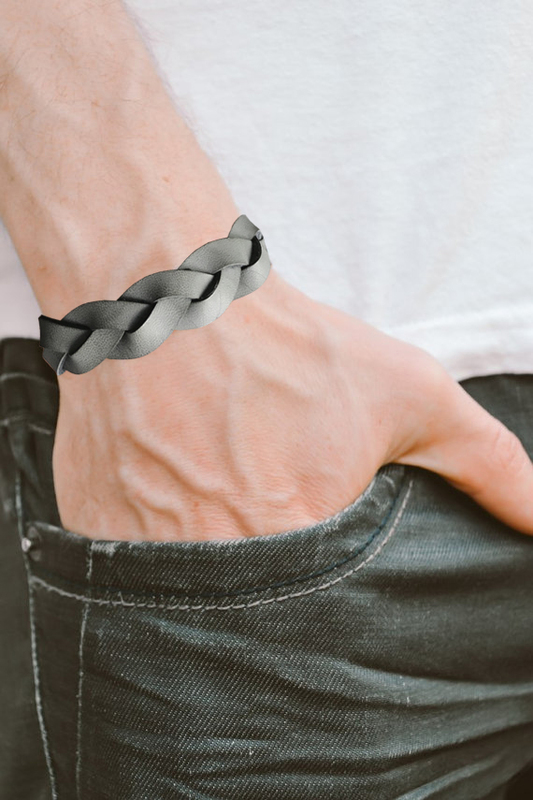 The Trendy Gray Braided Wrist band From The House Of am Hardy Is made of leatherite. 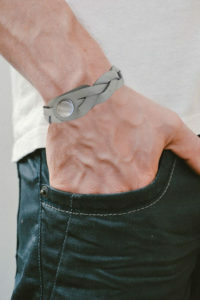 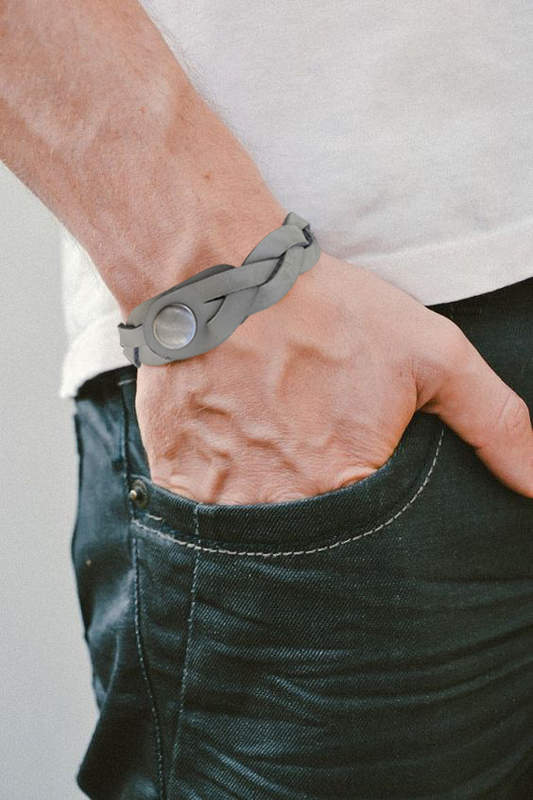 Trendy, unisex & adjustable pure Leather wrist band in gray is with metallic gun metal trims. 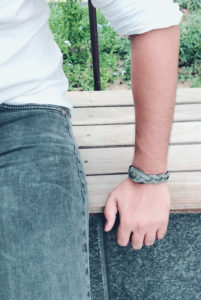 This hand band has easy opening. 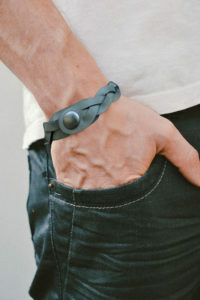 It has two rows of titch buttons, for comfortable fit according to your Wrist width.